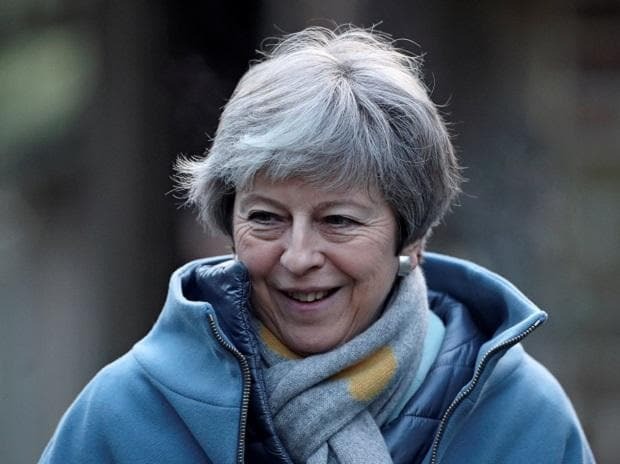 British Prime Minister Theresa May has formally asked for another delay to the country's exit from the European Union, buying time to thrash out an alternative Brexit plan with her political opponents. Britain is due to formally leave the EU on April 12, and the government does not yet have an agreed plan to avoid a disorderly exit. The clock is ticking for May to find a workable exit strategy that has majority support at home, and then persuade Brussels to give her more time to implement it. May has asked the EU to delay Brexit to June 30. Talks with the opposition Labour Party on agreeing to a cross-party plan for the type of Brexit the country wants are likely to continue over the coming days. If they are unable to reach a deal, the government will have to arrange for a series of Brexit alternatives to be voted upon in parliament. The timing and format of these votes is not yet clear. Britain's upper house of parliament, the House of Lords, is expected to approve a law which will force May to consult parliament on the length of delay she is seeking from the EU. The law is unprecedented because it has been introduced against the government's wishes, overturning one of the fundamental principles of British politics - that the government has ultimate control over the process of making new laws. The legislation is likely to encounter attempts to delay and block its approval by those who fear it is a route to stopping Brexit, and also sets a dangerous constitutional precedent. If the law is formally approved on Monday, it will require May to present her plan for a Brexit delay to parliament. This creates another flashpoint amongst a deeply divided body of lawmakers that could undermine May's attempts to persuade Brussels she can pass a deal if they give her more time. May is due to travel to Brussels for a special EU summit, where her request for a delay to June 30 will be discussed among EU leaders. The summit is expected to take place in the evening. The EU has so far said they will only grant a delay if May presents them with a clear plan on how the country intends to move forward with Brexit. Donald Tusk, president of the European Council, is likely to offer Britain a flexible extension of the date of its departure from the EU of up to one year, with the possibility of leaving sooner. May would normally make a statement to parliament at the earliest opportunity following an EU council, meaning she could stand up and speak to lawmakers on Thursday to update them on how the meeting went. Unless a further delay is agreed, Britain is due to leave the EU at 2200 GMT.